Request your FileNexus demo today. Andy Borthwick – Information Technology Manager, Kitchener-Wilmot Hydro Inc.
For a number of years, some of their customers were saying “I get my water and phone bills through epost, why not my hydro bill?” KW Hydro approached the FileNexus® team in August 2012 to build this functionality into their existing FileNexus® Document Management System. The team rapidly put together a solution and easily met Canada Post’s tight implementation deadlines. Canada Post requires their information in a specific metadata format. It must include customer envelope information and an exact duplicate of the bill the customer would receive in the mail. Using the FileNexus® PCL to PDF conversion utility, KW Hydro’s CIS application provides the PCL output needed to archive individual PDF bill statements. FileNexus® then automatically provides the statements and their metadata to Canada Post in the required format for epost. 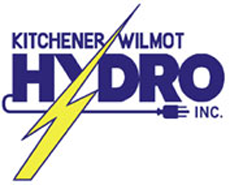 In the first five weeks, KW Hydro had more than 1,000 customers subscribe to epost for their online bill delivery. The Utility is so happy with the FileNexus® epost integration that they are grandfathering the old eBILL system. All new customers are now offered epost for their online bill delivery. Seeing the opportunity to enhance their document archival and business continuity strategy, KW Hydro opted to have the PDFs of every bill archived into FileNexus®. Essentially FileNexus® splits KW Hydro’s PCL file into three separate directories—print, KW Hydro eBILL and one for the new epost subscribers. They now have an archive for their entire customer base. An exact duplicate of every customer bill is now archived in FileNexus® and available for immediate retrieval by customer service representatives. Customer service representatives and customers are now looking at the same things—bills, notices, etc.—which makes for clearer conversations and faster call resolutions. Everything is safely archived in FileNexus® and ready for instant recall and handling. Loris Technologies Inc. is constantly working with clients to meet their changing needs and expand the capabilities of FileNexus®. KW Hydro is currently using FileNexus® to archive a number of host system text reports and scanned documents from various departments, including their Cable Locates project earlier in 2012. In 2013 KW Hydro will roll out additional FileNexus® enhancements in the Engineering department and there are plans to improve applications throughout the organization. The FileNexus® Document Management System gives utilities, both large and small, the ability to capture virtually any type of document from any source (i.e. paper records such as maps, drawings, manuals, electronic files such as host generated reports, client statement streams, IVR recordings, etc. ), index and compress them for secure archival and future recall—providing a single cohesive repository for all document management, workflow, archival and business continuity needs. This entry was posted in Client Profile, Document Management, Uncategorized, Utilities by admin. Bookmark the permalink.